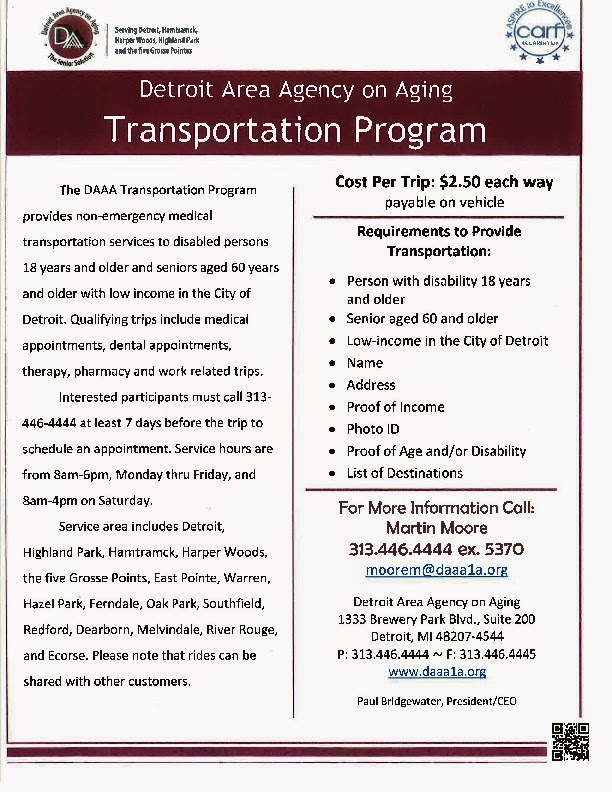 The Detroit Area Agency on Aging Transportation Program provides non-emergency medical transportation to disabled persons 18+ and seniors over 60 with low income in the City of Detroit. Trips can include medical appointments, therapy, pharmacy, and work related trips. The cost is $2.50 each way.